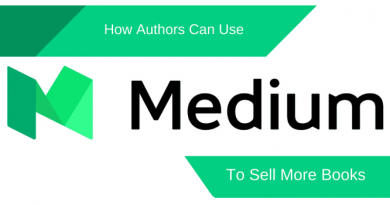 How can you decide what a publishing company is offering you? One of the most common questions we receive from our readers is, “Is X, Y or Z publisher legit? 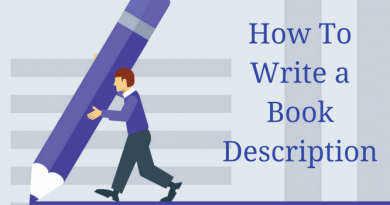 There are a lot of ways an author can publish, but if you receive an unsolicited offer from a publishing company or publishing service, you should be very careful. The only route a new author has to get a traditional publishing contract is to query literary agents, and if your luck is in, you might find a reputable agent to represent you. Nowadays, the most common route to take to get a book published is to self-publish with Amazon Kindle Direct Publishing, Smashwords or Draft2Digital. The last option is to use a vanity publisher. If you are considering this route, you should proceed with caution. When readers ask us if a specific publisher is legit, the question is almost always about a vanity press company. What is legitimate and what is a publishing scam? There are a lot of vanity press publishers, and most conduct their business on a perfectly legal basis. However, this is not to say that their business models are advantageous or fair to an author. The problem that arises about the legitimacy of a publisher is one of expectation. The normal process in book publishing is that money flows from the publisher to the author. With vanity publishing, the money flows from the author to the publisher. In other words, the author pays the publisher for a book to be published. But the question of whether a publisher is legitimate or not is almost always about who has the responsibility to sell your book. Caught in the excitement of publishing your first book, new authors often overlook this critical point. It is too late after parting with thousands of dollars to discover that your publisher has no responsibility under your contract to sell your book. So what do you have for the few thousand dollars you spent? Ten free author copies of your new book? If you get an unsolicited email from a publisher you have never heard of offering you a fantastic opportunity to publish your book, it is generally a scam. Other scams try to tempt you with a free manuscript appraisal or a free publishing manual or ebook. The aim of all of these types of approaches is to get your contact details and in particular your phone number. Then you can expect to be contacted by a high-pressure salesperson, who will promise you the world, but avoid telling you about the price. Only later will you discover how much it is all going to cost you. It is essential to understand that door-to-door selling is not illegal. Nor is annoying telemarketing and persistent phone calls from salespeople trying to convince you to part with your money. But are these methods legitimate? It depends on your point of view. Your decision-making process should start with deciding if the offer you receive is from a vanity publisher. Understanding that vanity publishing and self-publishing are not the same is a good starting point. Many vanity publishers call themselves self-publishers and use the word as a way to confuse you. Self-publishing is about the author doing everything, so it is easy to define. You don’t need a publisher to do it. Publishing is a big decision, so pay attention to what the publisher is promising to do for you. Don’t rush into any agreement and always tell them that you want to spend more time considering the proposal. The most important decisions will be about who is responsible for marketing, promoting and selling your book. 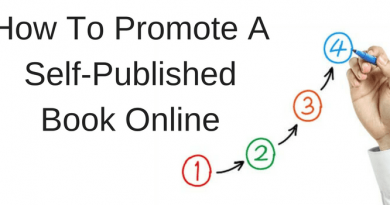 If the only promise is to list your book on the publisher’s website, that is not marketing, promoting and selling your book. Most vanity publishers attract next to no website traffic, so no one is going to see your book on the site and buy it. With no viable marketing by your publisher, it is going to take you a very long time to set up your own book marketing and promotion. It will also cost you a lot more money, on top of what you paid the publisher. If you are concerned that you don’t have the technical ability to self-publish and would prefer a publisher to do all the work for you, be careful and look at all the pros and cons. But know that you might end up paying a hefty price for something a friend might be able to help you do. Ask questions about who will hold the rights to your book. Very often, you will not only part with a lot of money, but also part with your rights to your book. In the worst case scenario, if your publisher closes or goes broke, you will have a lot of problems trying to recover your book rights. Lastly, be sure about the cost per copy of your book. Will you have to pay for all additional copies other than the handful of free author copies you might receive? How much will each copy cost to be sent to Amazon for distribution? Will your publisher take responsibility for Amazon distribution, or will you have to buy copies and the do all the work with Amazon fulfilment? When making your decision about a publishing contract, ask lots of questions and especially about who pays for what. I know of many authors who have used a vanity press, regretted the decision and moved to self-publishing for their next title. Learning how to self-publish takes a little time, but the time invested in learning doesn’t cost you thousands of dollars. If you are asking the question as to whether a publisher is legit or not, it is the wrong question. They are almost all operating legally, which means they are legit. But are they trying to rip you off? Well, that is an entirely different question. I suspect that this differs between fiction and non-fiction. I was approached by an editor at a reputable mid-size publisher based on an article I had published in a journal. This was not, however, an offer. It was an informal discussion of book topics and an invitation to submit a proposal. Given that we had already discussed the topic, and she had already seen some of my writing, it is reasonable to assume that the process of considering the proposal had good will behind it than might otherwise be the case, but it certainly an offer at the early stage. I suspect the difference with fiction is that both the author’s name recognition and writing style matter more. With non-fiction, a potential reader is either interested in the topic or isn’t. Who the author is matters, but not as much. The editor had a pretty good idea of potential topics before she ever contacted me. Nate Hoffelder tweeted this to his many followers, so glad you wrote about this. So there are only 4 paths to publishing: 1 – large publisher approaches you if you’re famous (2 – or your agent approaches them if you’re not), 3 – self publishing and 4 – vanity publishing. Thanks for clearing it up! I know which path I am taking.